During the winter months we're all pretty jealous of those who live in Florida. We've got freezing temperatures and snow-covered roads, and they've shirt sleeve and shorts weather. But come spring and summer, they're all suffering - unless they can live at the beach or spend all their time indoors in the air conditioning. Floridians rely on always having a properly working AC system in their homes, especially during the summer months. 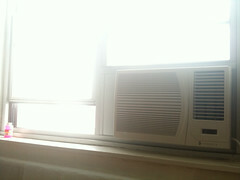 I have friends here in the Midwest who think properly working air conditioning is pretty important, too. Oftentimes they're talking about turning on the air conditioner or complaining that it quit - and I haven't even realized it was supposedly hot enough for air conditioning. If your home has poor air circulation, or you have small children, elderly family members, or an expectant mom in your household, I know air conditioning can be very important at times. There are a few things you can do to have a proper AC in your home. If it's time for a new AC system, some repairs to your current system, or just some regular maintenance, search out AC system companies in your area. Look online and research companies to find one with a good history of making people happy in regards to their AC system. Read all those reviews. A great example would be Gulf Shore Cooling, which is among the best ac companies in fort myers. Besides installing and repairing AC systems, they also repair furnaces and other hardware in the home. Whether you have a traditional air conditioner or central air, you should do your best to get a decent warranty with your AC system. Some of my friends had their air conditioner go out last week. After a bit of scrambling, they were able to get it fixed for just the cost of a service call, because it was still under warranty. That was a huge relief to them - in more ways than one! A properly working AC system is important, especially in Florida and on hot summer days everywhere.